We are family owned and operated, based in Iowa City. Certified & licensed by the Iowa Department of Public Safety and insured for your confidence and peace of mind. Owner and President, John Hadley, has a Bachelor of Science degree in Sociology and Business Administration. He served four years with the US Army Intelligence and Signal Command and is a Vietnam War veteran. John started his electrical career as a journeyman electrician and has been in the electronic security and life safety industry for the past 25 years. He established Guardian Security Systems in January, 1995 working out of his home. He has the highest (level IV) professional certification in fire alarm systems from the National Institute of Engineering Technologies (NICET). 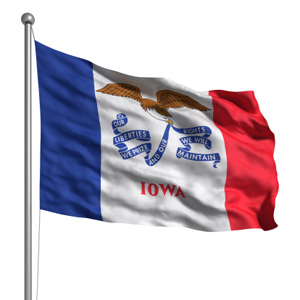 John serves on the Alarm Systems Advisory Board of the Iowa Department of Public Safety. John's business mission and philosophy is to provide tailored security and life safety response systems that are designed to the uniqueness of each house or commercial building and are compatible with the day-to-day activities of the people who will be using them. This requires a personal consultation before your project is implemented in order to get an accurate description of your unique requirements. John is, also, an advocate of healthy nutrition, wellness and disease prevention. He shares what he has found to improve his personal health on the Personal Health page. Owner and President, John Hadley, is a member of the Johnson County Elderly Consortium, the Linn County Elderly Consortium, and the Veterans of Foreign Wars (VFW). Contact us for professional services including consultation, sales, design, installation, maintenance, testing.